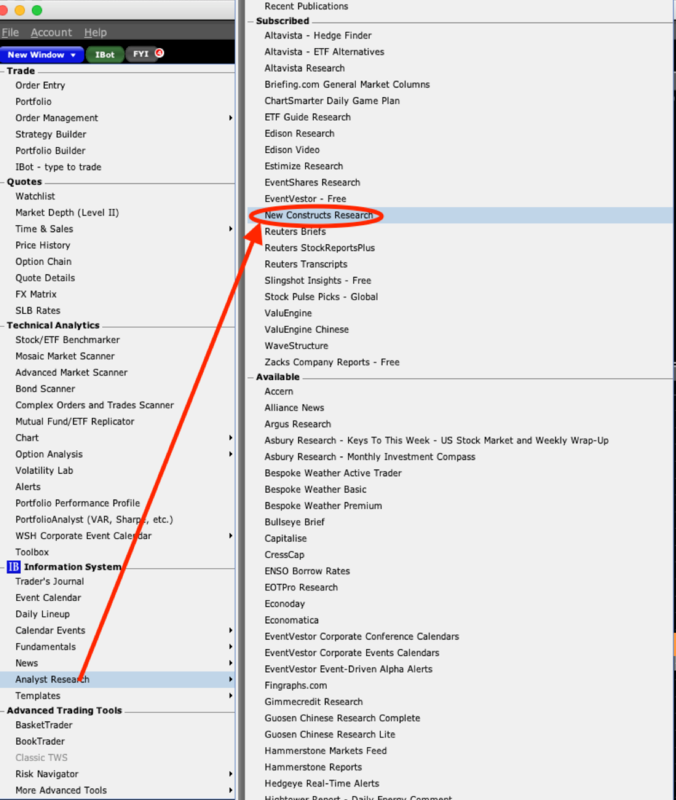 Clients of Interactive Brokers have access to New Constructs reports and ratings on over 10,000 stocks, mutual funds, and exchange-traded funds (ETFs) directly from their IBKR accounts. Contact IBKR support with questions. New Constructs provides Interactive Brokers clients with the sophisticated fundamental research that Wall Street insiders use. This Ernst & Young white paper shows the material superiority of our data and research. Interactive Brokers enables their clients to make more informed decisions with New Constructs research, which leverages proprietary Robo-Analyst technology, featured by Harvard Business School, to scale expert analysis with machine learning. The average investor no longer has to settle for the often incomplete and conflicted research from traditional providers. Elite money managers, advisors and institutions have relied on New Constructs for years to lower risk and improve performance. We are proud to extend our uniquely diligent research to over half a million self-directed investors in the Interactive Brokers community. 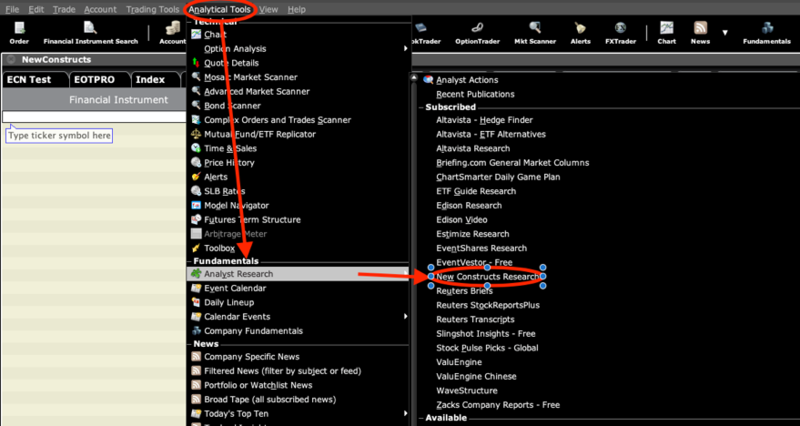 We believe that every investor deserves access to comprehensive fundamental research like ours. 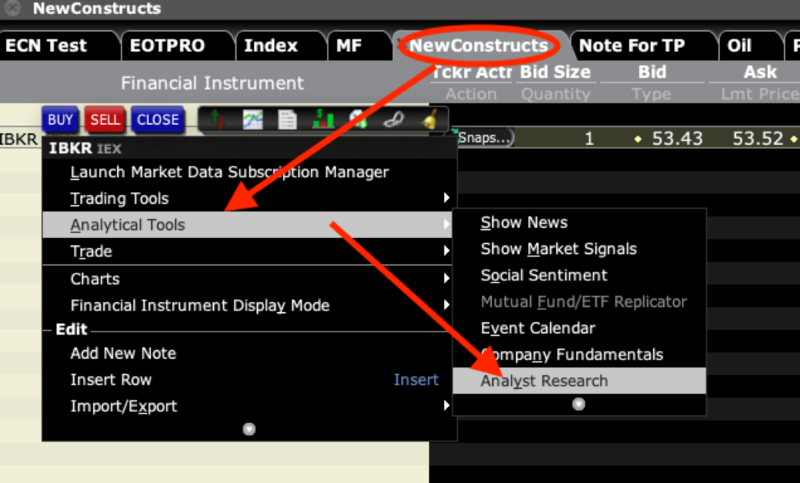 Interactive Brokers added New Constructs research to their site to put more insight at clients’ fingertips. We are proud to extend our research offerings to self-directed investors. Comprehensive and unconflicted fundamental analysis need not be 100% of every investment decision, but it should not be 0%.